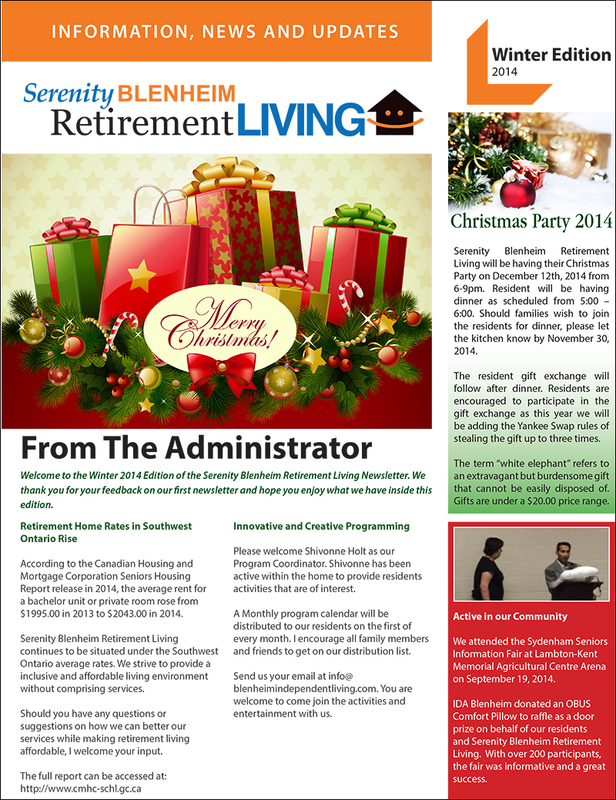 What's New At Serenity Blenheim Retirement Living? 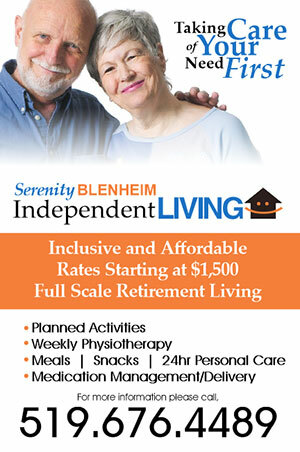 At Serenity Blenheim Retirement Living, we want to keep you up to date with all the events, happenings and general information from month to month. 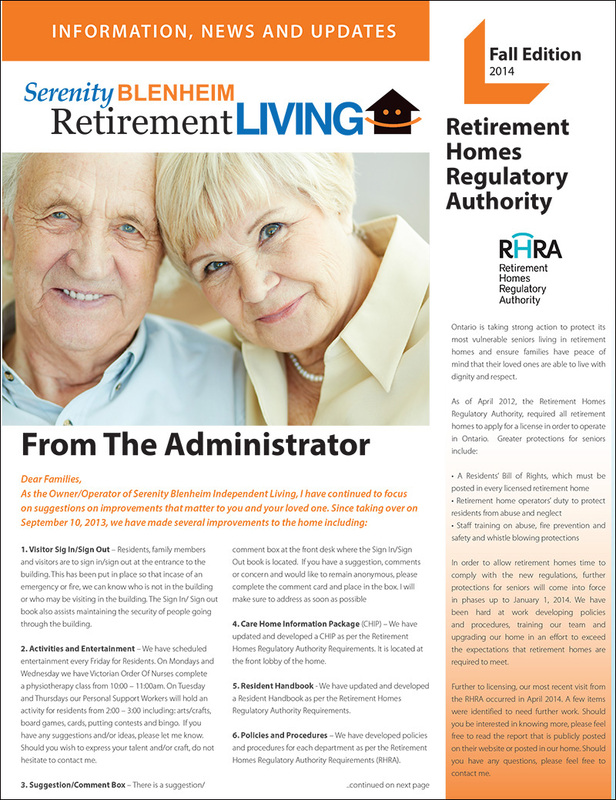 We have just launched our new Newsletter publication and we kindly invite you to download each issue to read at your convenience. Click each image below for a PDF of the particular edition. Found this informative? Please share socially with others! We'd love to hear from you. We welcome and encourage you to schedule a tour of our facility. See first hand the comfort, compassion and care we offer all our residents, both short term and long!